Exploratory testing assistant for Chrome and Firefox. Adds common problematic values and edge cases to the context menu (right-click) for editable elements, so you can keep them handy and access them easily during exploratory testing sessions. 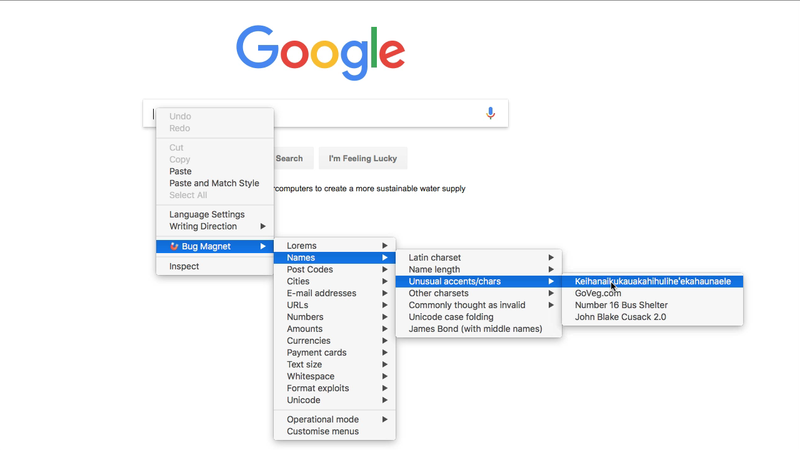 How to install and use BugMagnet? How to contribute or support development?